Way back in the early to mid-90s, American indie rock was dominated by bands that prided themselves on the lo-fi esthetic. Albums by Pavement, Archers of Loaf, Guided By Voices, and Sebadoh were filled with fuzzed up alt rock that buzzed with reckless abandon but still contained perfect pop nuggets next to all the noise. 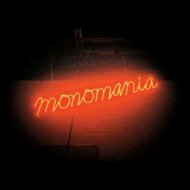 Bradford Cox is locked into this sound with Deerhunter’s fifth album, Monomania. The distorted vocals of “Neon Junkyard” and the abrasive “Leather Jacket II” open up the album in the true spirit of ’94. But then this gives way to guitarist Lockett Pundt’s glorious “The Missing” with its chiming guitars and expert “auxiliary hi-hat” work from drummer Moses Archuleta. “Dream Captain” sees Cox asking the “dream captain to take me on your ship” as he’s a “poor boy from a poor family, there’s nobody left to take care of me”. Monomania really hits its stride midway through with the hand clappy “T.H.M”, the introspective “Sleepwalking” and the tough yet vulnerable “Back to the Middle”. Bradford Cox and Deerhunter never seem to take the easy road. They could have delivered an album filled with tracks such as “Memory Boy” and “Helicopter” from previous effort Halcyon Digest which just may have seen them have a post MPP Animal Collective type year. Instead, they make a left turn and deliver a scruffy batch of songs that can make for a rough first listen but quickly show their heart when put on repeat.